Y’all know I love a good festival and we’re thrilled to introduce y’all to Fortress Fest, a brand new, two-day music festival that is coming to Fort Worth April 29-30th! With over ten internationally known bands performing each day, Fortress Festival is one that you won’t want to miss. Of course, what is a festival without our favorite word…FOOD? 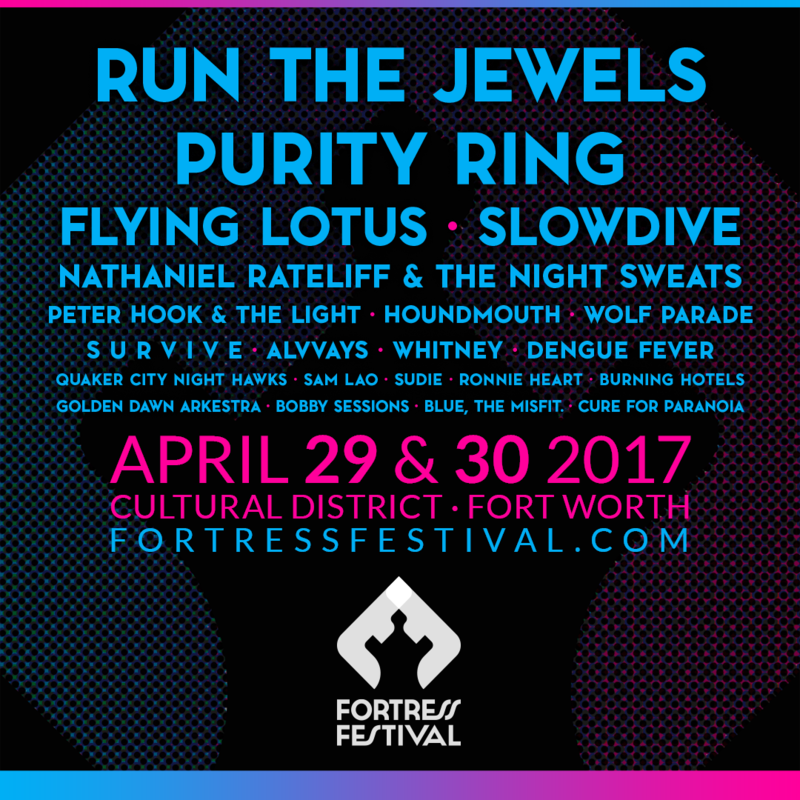 On top of a great musical lineup, Fortress Festival will be bursting at the seams with awesome food and beverage vendors. Beat the heat with Alchemy Pops, munch on traditional Chineses cuisine from Cannon Chinese Kitchen, grab some tacos from Salsa Limon, enjoy New York-style Mediterranean cuisine from Shawarma Point or even give your body a boost with a fresh juice or smoothie from Juiceland! All of these vendors will be on site but patrons can also dine inside Cafe Modern during regular operating hours. Need something to wash it all down? Four different general admission bars and two VIP bars will be serving up brews from local favorites like Lone Star, Rahr and Sons, Revolver and, Austin Eastciders. For folks needing something harder, Deep Eddy Vodka, Crooked Fox Bourbon, and Pelican Harbor Rum will be mixing up libations, too!